Friendship is a great gift. Its a hard to find treasure. You can even be lucky to have treasures in your life, but you should be even more lucky enough to have true, best friends. 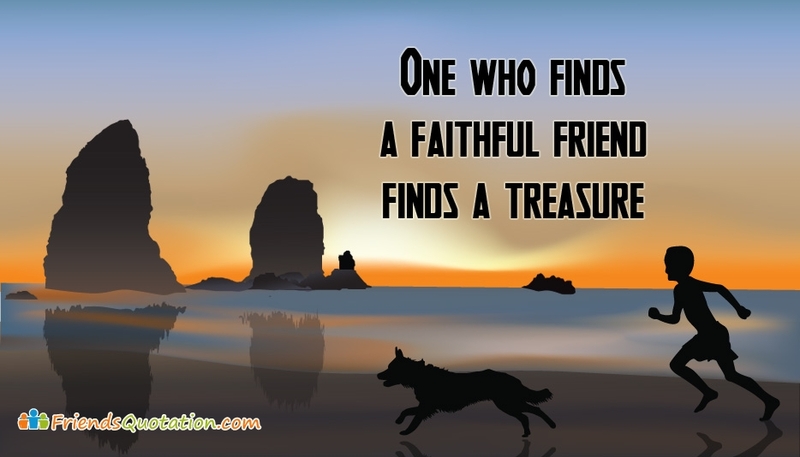 This message of friendship is expressed in this picture with the words "One who finds a Faithful Friend finds a Treasure". Share this picture and express your love and affection.